Arrival to Lisbon. Welcoming at the airport and transfer to the hotel for dinner and accommodation. Breakfast and departure for the day visit of Óbidos, a Middle Age village of houses coloured by flowers. Then visit of Nazaré, a typical fishing village, and lunch in a local restaurant. In the afternoon, visit of Alcobaça, which shelters the magnificent tombs of the King D.Pedro and the Queen D. Inês de Castro. Driving further to Batalha, visit of the Monastery of Batalha, a masterpiece of the Gothic Art. Arrival to Porto. Dinner and accommodation at the Hotel. 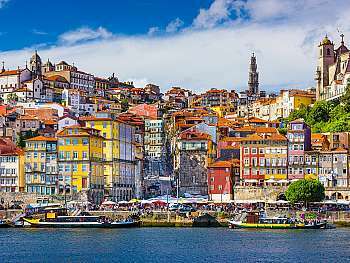 Visit of Porto, a town built over the right riverside of the river Douro: the sinuous streets of the old town, the church of St. Francis, the Cathedral and the Stock Exchange Palace. Visit of the wine cellars of the Port wine. Afterwards visit of Guimarães, the birthplace of Portugal. Lunch in local restaurant. Visit of the Palace of the Dukes of Bragança and the Castle of Guimarães. 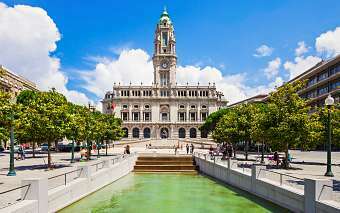 Then departure to Braga, the town of the Archbishops. Dinner and accommodation at the hotel. Departure to Coimbra, old university town, where we will visit the XVI century University. 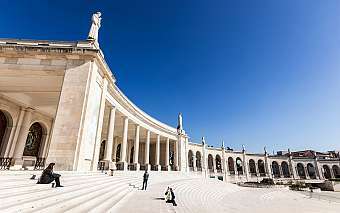 Lunch in a local restaurant and then departure to Fatima for the visit of the shrine dedicated to the Virgin Mary. Arrival at the Hotel in Fatima, dinner and accommodation. 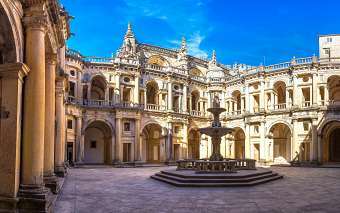 Visit of Tomar, town of the Templar knights, and visit of the Convent of Christ, base of the Templar Order in Portugal. 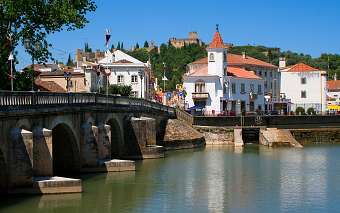 Continuation to Castelo de Vide, with its old white houses. Visit of the Jewish district and the synagogue. Lunch in a local restaurant. In the afternoon, visit of Marvão, fortified Middle age village, dominating a wide panoramic view. Afterwards, road to Évora. 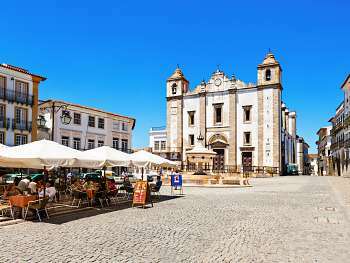 Settlement at the Hotel in Évora, dinner and accommodation. 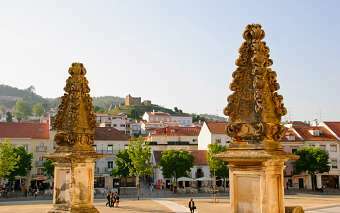 Discovery of Évora, classified by UNESCO as World Heritage. 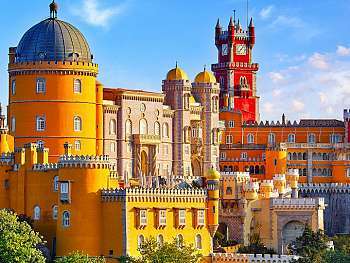 This city keeps from a rich past a wide number of Medieval and Renaissance Palaces which make it a true museum of Portuguese architecture. Visit of the Cathedral, the Roman Temple and the Church of St. Francis with its Bone’s Chappell. Lunch in a local restaurant and then departure to Lisbon. Settlement at the Hotel, dinner and accommodation. 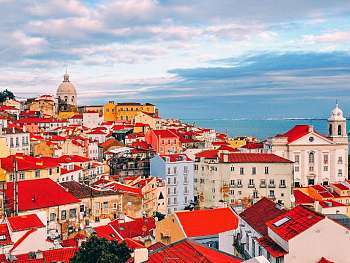 Visit of Lisbon, one of the most ancient capitals of Europe: the Baixa quarter, the winding streets of Alfama, Belém quarter with its monuments related to the Sea Discoveries and the Coaches Museum. 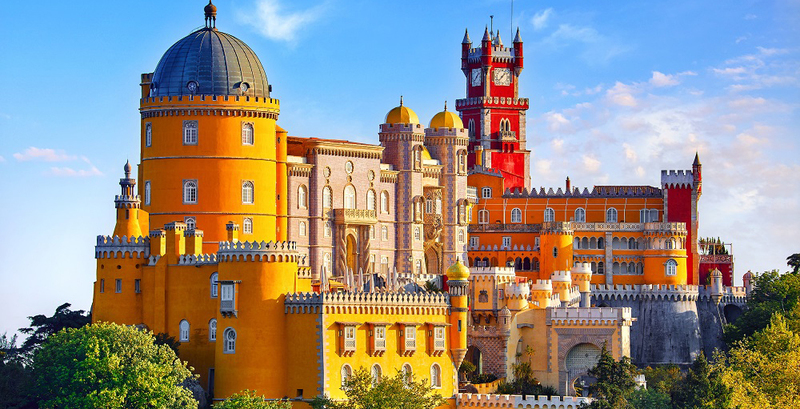 In the afternoon discovery of Sintra, summer residence of kings and nobles. Lunch in a local restaurant and then visit of the Royal Palace in this town. Return to Lisbon, passing through Cabo da Roca, the western most point of continental Europe, Cascais and Estoril, known resorts. 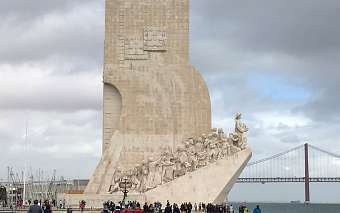 Return to Lisbon. Dinner and accommodation. Breakfast at the hotel. Transfer to the Lisbon’s airport. Assistance with the boarding formalities and departure. End of our services.